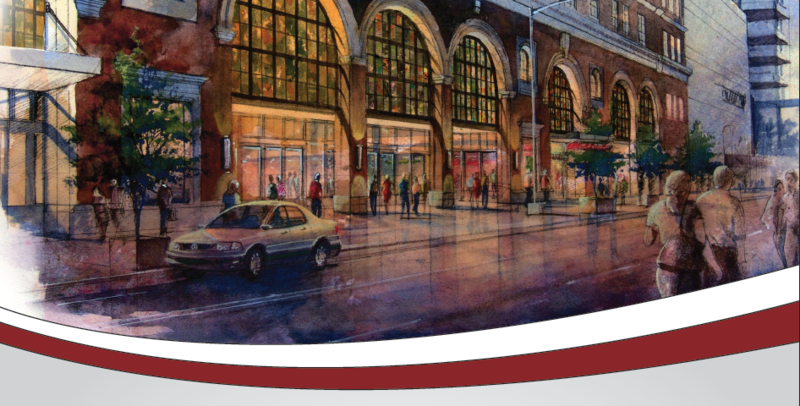 In October 2009 a visionary investment group in Atlanta Georgia obtained a development loan through CUBS and embarked on the redevelopment of an important historic downtown Atlanta property. The former Macy’s Department store had for years been closed and vacant. Built in 1929 it originally was the Davison-Paxon Department store. 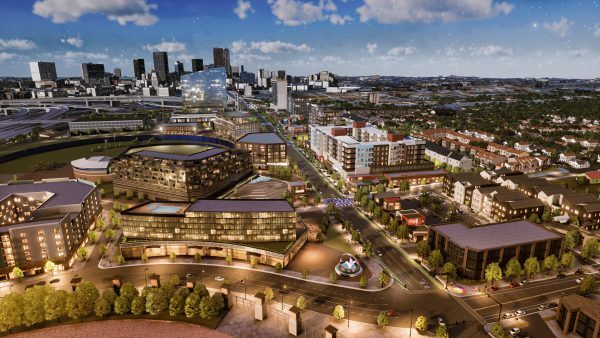 Its revitalization could, and did, help bring newlife and economic progress to this vital district. When this investor group and the credit unions closed on this initial round of financing, the credit markets were still reeling. However, numerous factors including tax credits, the location and property, some pre-leasing and a tangible business plan helped to cement the transaction. Numerous elements ranging from the original chandeliers, the terracotta floor and the Italian capitals on top of magnificent columns were incorporated into key spaces. The final product 200 Peachtree is much like the original renderings shown here. 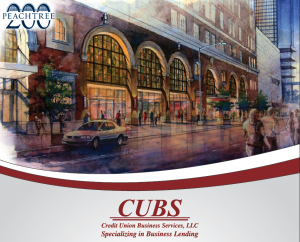 The relationship between the borrower, CUBS and its credit unions has continued to expand as the borrower and the property have fulfilled more potential. 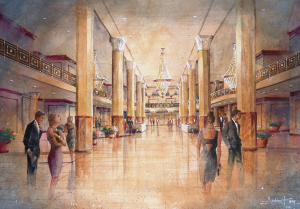 The property hosts some of Atlanta’s most prestigious events, is a key partner to downtown hotels and is the home to popular restaurants, a high-end spa and an Italian coffee shop. CUBS is pleased to feature this transaction and our relationship with this borrower.